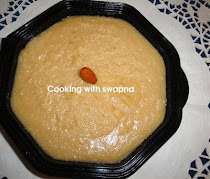 'Pongal' means boiling water and symbolizes the excess and plentiful of harvest and prosperity. 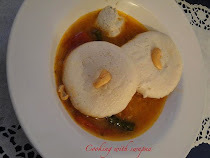 Ven pongal is one of the traditional south indian receipe. 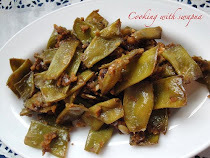 This is very simple to cook but taste wonderful. 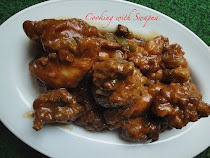 When i make this dish, I always remember my grandmom where she use earthenware pot to cook. Believe me it taste g8!!!!!!! Enjoy this festival by having fun time in cooking this traditionally in the pot shouting out pongal-o-pongal. Dry roast the rice and dal for about 2 minutes till you can smell the roasted aroma. 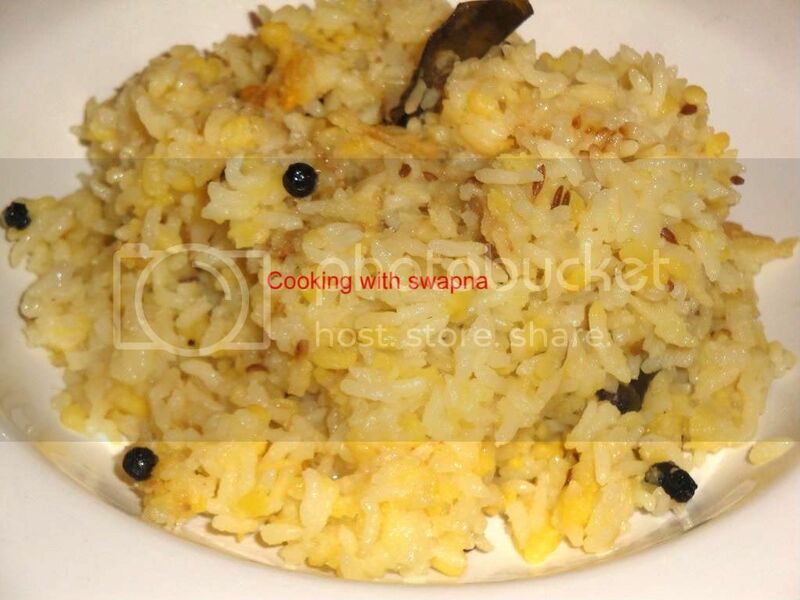 Then, cook rice and dal in a pressure cooker with 4 cups of water. Heat ghee & oil in the heavy bottomed pan, add cashewnuts, black pepper, cumin seeds. 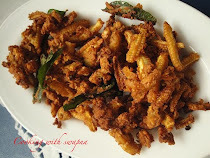 Once roasted, add ginger pcs, curry leaves followed by a pinch of asafoetida & black pepper powder. Add this seasoning & salt to the rice & dal mixture & mix well till it gets fully mashed. 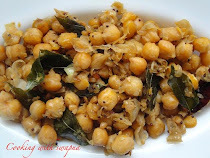 Serve steaming hot with ghee on top along with sambhar & coconut chutney. 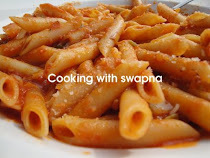 In this method, combine all the ingredients & cook till it done. It taste equally good. Dry roast the moong dhal & keep aside. Heat oil & ghee in a hevy bottomed pan (preferrable pressure cooker). 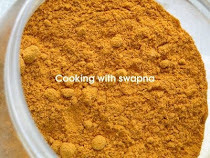 Add black pepper corns, cumin seeds, chopped ginger, asafoetida followed by curry leaves, black pepper powder. Add rice, dhal & water with salt. 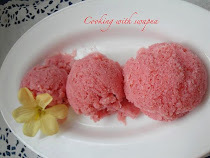 Pressure cook the pongal till done. Finally add roasted cashewnuts & mix well. 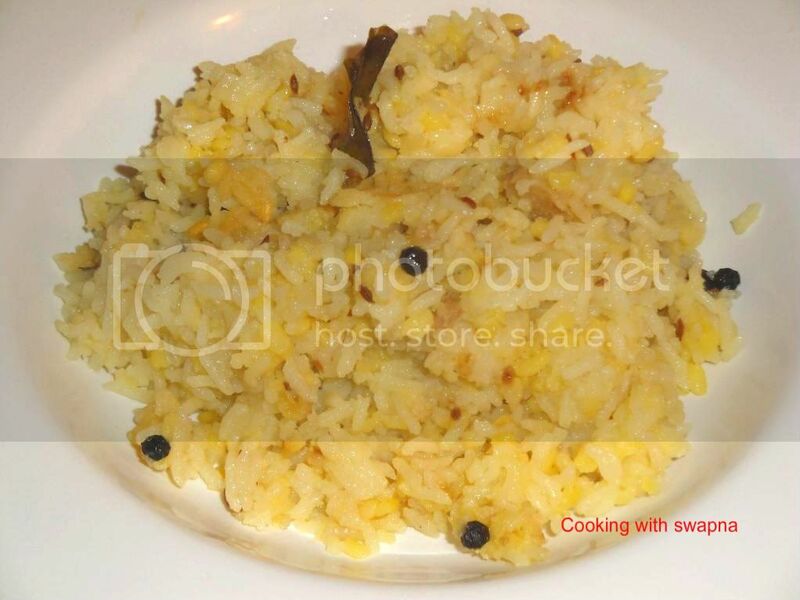 Yummy yummy pongal is ready to eat. 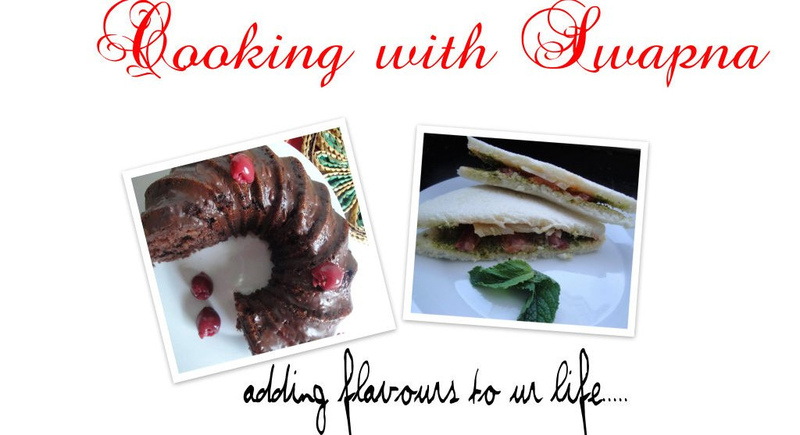 Serve it hot, with variety of chutneys. 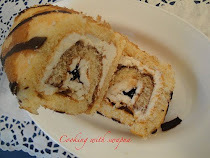 I have tried this,it came out very tastefully,I have no idea about cooking but all your contributions helps me a lot.Please contribute more like this. 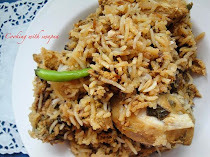 tried this Ven pongal for the first time with the exact measurements you gave. 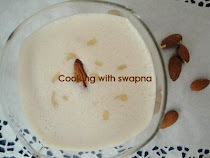 it came out really well...got lots of appreciation from my family members.. thanks a lot for the yummy recipe.. looking forward for more recipes like this..
Hi swapna, I see that you have used my photo for ven pongal. This is a copyright issue and one cannot use my photographs without rightly asking me so. This is plagiarism! If you do wish to use You need to provide link back to the photos. Just because you have cropped my photo that does not mean, its not copied. I kindly request you to remove this and use your own photgraph, before I publish your blog as a plagiaristic blog. I know you have use the Thattai photo of another blogger friend. SO please, do the needful by removing the photo and using your own. Thank you. Hi Archana, Kindly check & have a track of your photo's before commenting on others blog. This is my photo & don't repeat this hereafter.